Yahoo, which is now owned by Verizon, was hit by multiple breaches from 2013 to 2016, one of which affected all 3 billion customer accounts that existed at the time. The proposed settlement still needs to be approved, but earlier this year, a different version of the class-action settlement was rejected by US District Judge Lucy Koh, who wanted to see more benefit to consumers and a specific settlement amount. 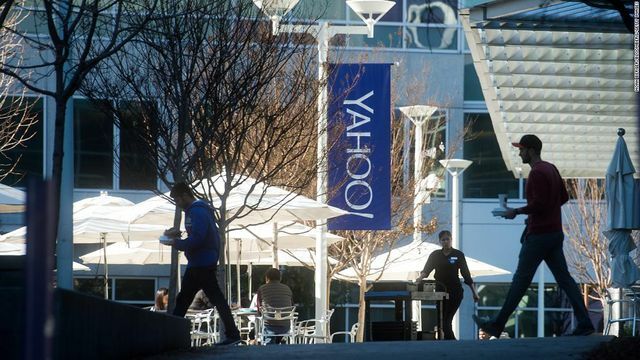 New York (CNN Business)Yahoo could pay $117.5 million to settle massive data breaches that compromised personal information, including email addresses and passwords. The proposed settlement was announced on Tuesday, but still needs to be approved by US District Judge Lucy Koh. Earlier this year, a different version of the class-action settlement was rejected by Koh, who wanted to see more benefit to consumers and a specific settlement amount. Yahoo was hit by multiple data breaches from 2013 to 2016. The 2013 breach affected every single customer account that existed at the time, which totaled 3 billion. Yahoo previously said names, email addresses and passwords were compromised but not financial information. In 2016, Verizon acquired Yahoo for $4.48 billion. The following year, Yahoo and AOL formed a new company under Verizon called Oath. It has since been rebranded to Verizon Media.